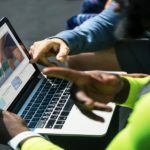 By default, you have a CSS and JS file that group all the theme functionality, so if you do not use or need some features, for example the Full Screen header style, you will still have its CSS or JS associated. it is not ideal. You will no longer have this issue, just go to your WordPress dashboard, click on Theme Panel > Scripts & Styles and disable all CSS and JS you will not need. When disabling a script, a CSS and JS file will be automatically created in the uploads folder of your site and displayed in front end instead of the default files. 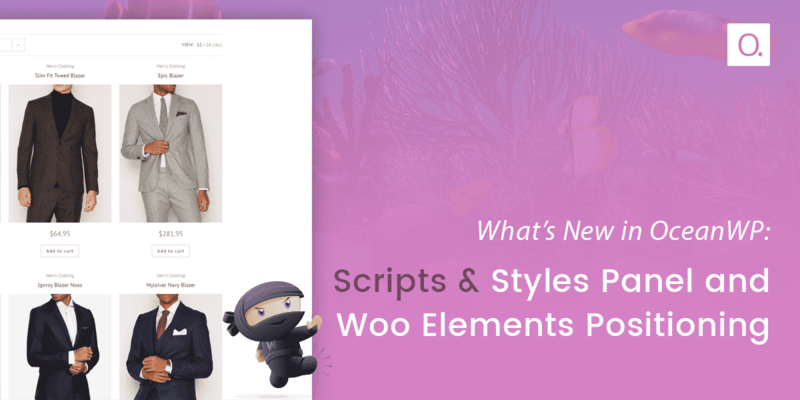 In this version, you’ll also be able to re-organize or hide all the elements of your WooCommerce products in the catalog. I also activated this feature for the summary of your single products, I did not do it for all elements (image + summary, tabs, up-sell products, related products) because I do not really see the useful to change the location of its elements, but if you want this possibility, tell me in the comments and I would add it in a future release. 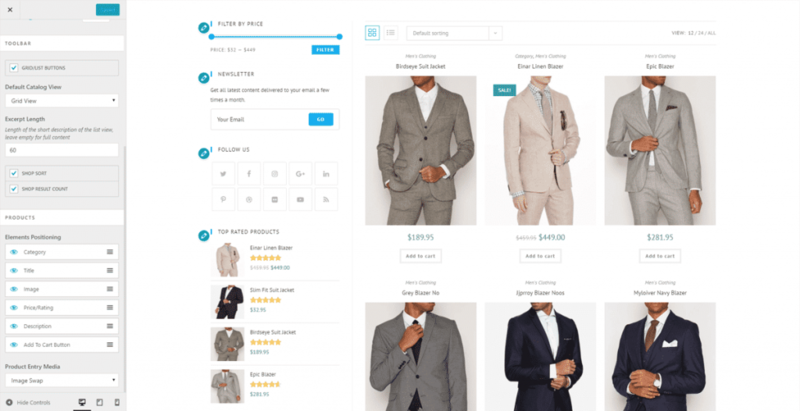 On the advice of a user, I have improved the checkout page style, now the items prices table and payment method are located on the side instead of below the customer details. The Zoom Gallery feature has been added, if your image is large, a zoom effect will be visible. I also added a new option in the customizer to allow you to position the tabs on single product, left, center or right. For mega-menus, I have added one column in the “Megamenu columns” field, so you will not need to have at least two menu items in your mega menus, and I activate the mega-menus for the top bar. 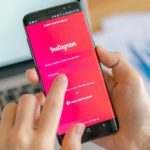 Two new Width and Height options have been added in the customizer to allow you to change the images size of related posts in your single posts. For the mobile menu, a new location has been added “Mobile” to allow you to display a different menu for the mobile menu. And the top bar menu is now automatically added to the mobile menu. I created a new “Tags Cloud” widget which is exactly the same as the default tags widget of WordPress but that has several customization options (background, color, font size, text-transform, etc …). A new shortcode is available “” which allows you to display certain informations of the current user like its username, email, first and last name, etc, look at this article in the documentation for more information. The next version of OceanWP will be a big update, I will improve the Medium header style, try to create a new demos with GiveWP which is a donation plugin, so the demo will be a non-profit template (I not yet found the exact idea), improve some extensions, and add new useful features to the theme. Tell me what you think about this new version and subscribe to the newsletter to stay connected! Fantastic update, I’m glad I chose OceanWP! I’m glad you’ve chosen OceanWP too! Maybe I can make a suggestion; the option to hide the woocommerce cart in the menu whenever it is empty? If possible, I will add this feature in the next version. This is great news! I love the theme and I’m already planning to use OceanWP for at least 2 of my projects! Please keep it going, your work is inspiring for me. Solid work here. Love it. OceanWP is my ‘go to’ theme. What’s about the google font subset? Does it include on this release? 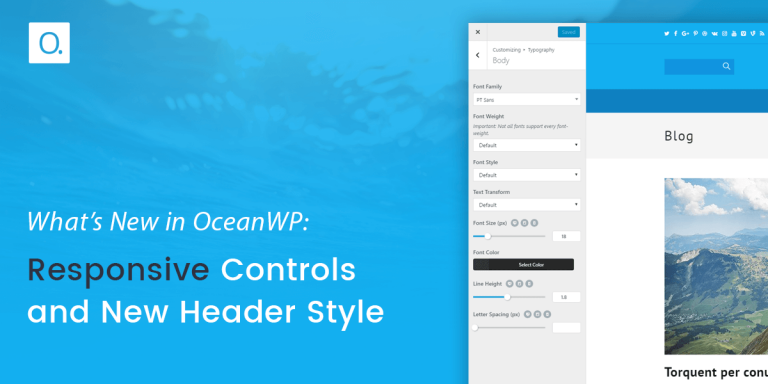 Amazing Nick, OceanWP is the only theme i use now on my client / personal projects and i feel great to take this decision in the early days of OceanWP when i first used it and when i had a conversation with Nick. OceanWP since than is growing / improving with a lightening fast speed and things only getting better and better. Wow. Its fantastic! The best theme ever! Hi Nicolas, today I stumbled upon your theme, and I’m really blown away! Downloaded it, imported some demo content, and really love how it all looks and has been set up; thumbs up mate! However, I have a question. As far as I can see, there are no portfolio pages in the demos. What’s the best way to create portfolio items, and portfolio pages/overviews? I’m planning to use Elementor and Elementor Pro, and was thinking about creating custom post types for portfolio items. Would that be a good idea? And if so, what plugin can be recommended to create this custom post type? Hello Marc, thank you very much for your message. For the portfolio, there is not yet a demo because there is not yet a portfolio extension, I planned to create one. 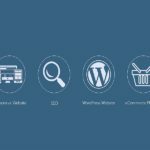 Hello, the WooCommerce style is by default disabled to load the custom OceanWP WooCommerce CSS file. 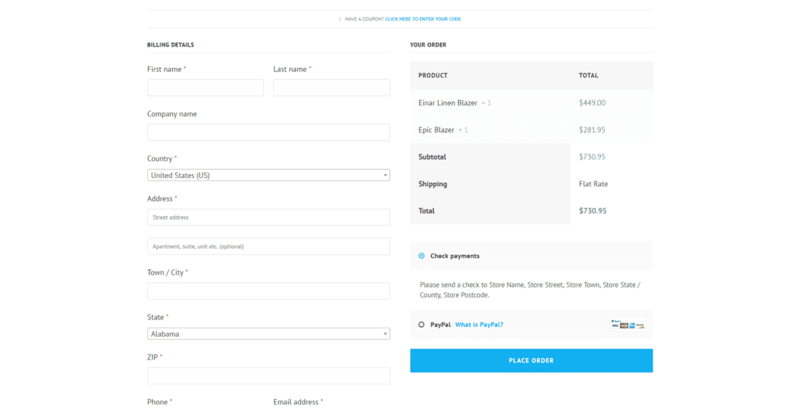 This is fantastic Nicolas, just a small improvement: in the woocommerce checkout page, the “Payment method” is the right side of the screen but could it be fix when you do scroll down. Storefront has this functionality of fixing the “payment method” when scrolling, and I think this is good for the UX and to get more sales. Thx for you amazing work! 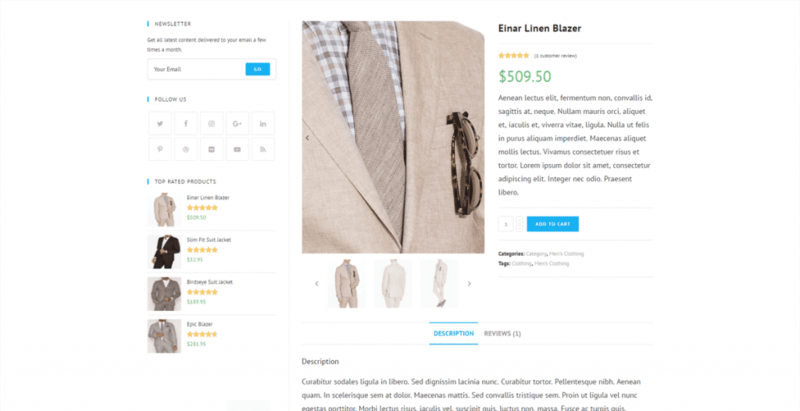 I have an issue tring to customize the colors of Prudut pages on woocommerce. I go to Customize / WooCommerce / Advenced Style / Product Find the Price color, changed the green to red but nothing happens on the page once all saved. Can you help me out ? is there somthing I missed. Hello, can you open a support ticket please? I will ask you some information. Where can I open a ticket, do I need to purchase an account ? Hi, click the support link in the menu then click if you are a customer or a free user. I cannot see the OceanWP “Theme Panel” section in my WordPress dashboard. Any idea why? Thanks! Hello, have you installed Ocean Extra? 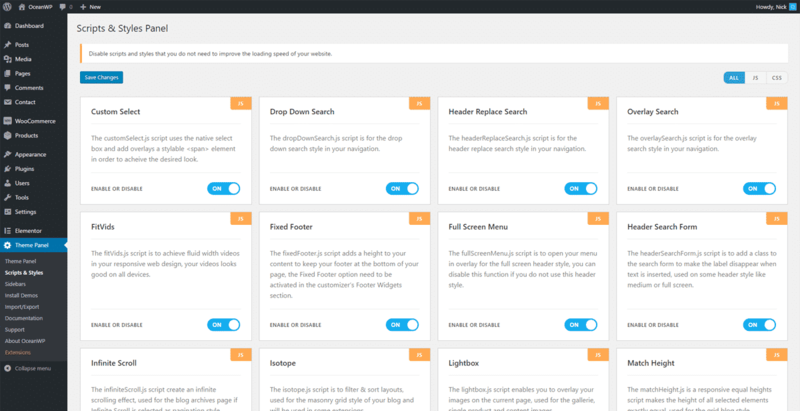 How about adding a table of content option or plugin. Obviously it would be better to add it directly from the post editor but an extra extension for this would be fine too. I’m new to the theme so excuse my ignorance if this already exists (outside of using Elementor Page Builder) but i’m not seeing it so if it does feel free to enlighten me. Other than that I’m really happy with it. 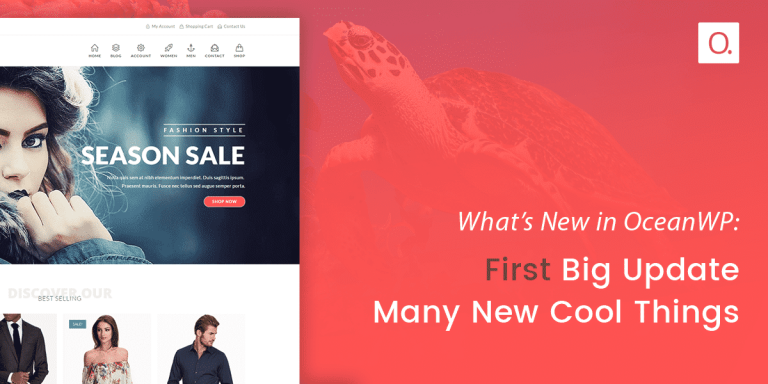 Nicolas – Great Theme! I have OceanWP Theme, Hooks, and Ocean Extra and I use them with Elementor. I do not have the Scripts and Styles panel under the Theme panel. Is this because I’m using the free version of OceanWP? I’m trying to disable OceanWP’s lightbox b/c it’s popping up underneath another lightbox/gallery plugin I prefer to use. I’m struggling to figure out how to disable your lightbox! If you don’t have Scripts & Styles, it means that you are on an old PHP version and I recommend you to contact your host to tell him that you want to be on the latest PHP version. I’m having trouble determining what Scripts & Styles I don’t need and can disable. Going through them one by one to see what breaks is making me nuts 🙂 Is there more information w/ maybe a screenshot of each so I know if that is a feature I’m using? Hello Tania, I will try to do something about this to make this feature very easy to understand.